This blog entry was supposed to be called #10: Attend a Major Sporting Event, because I was lucky enough to be given centre court tickets to the Australian Tennis Open in January for my birthday. Alas, life had other ideas. An acute hand injury just after Christmas required emergency surgery and put me well and truly out of action for several weeks. The trip to the tennis, and my next blog, became a forgotten dream. This activity has become somewhat de rigueur, I know, but in my defence, it began over three years ago as a rescue operation for two anonymous chickens that a neighbour was about to kill due to their poor egg-laying habits. In my mind, I’d named them Scarlet and Nancy, after the Scarlet Pimpernel and Nancy Wake, because they were about to cheat certain death. Unfortunately they suddenly turned up their toes – literally fell off the perch – before I could save them. Come to think of it, this probably explains their previously poor egg-laying ability. 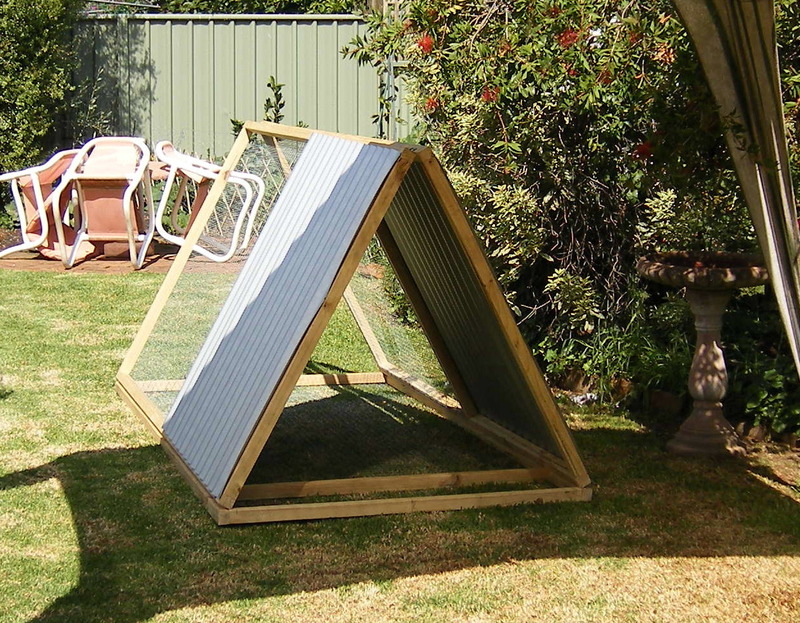 This also led to building a fenced area so they could wander in the garden, – within limits – fertilise the lawns and keep the area pest-free. How easy was this going to be? 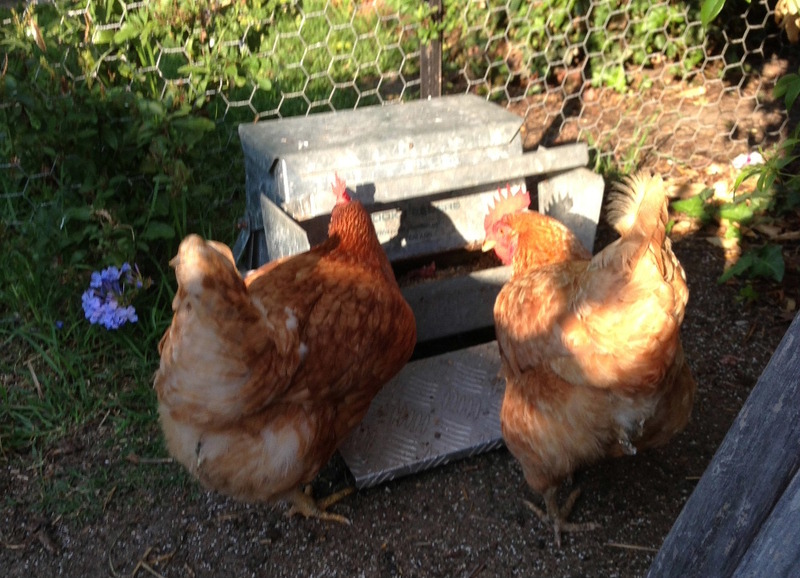 A crash course in chicken husbandry taught me that chickens want food, on tap, 24/7 so I bought an inexpensive feeder and filled it with layer pellets which they could access easily. Before I knew it, I was also feeding the entire sparrow, pigeon, dove, starling, magpie, peewee … you get the picture … population of the surrounding district, who’d evidently sent out the word: “Smorgasbord, guys, all you can eat over at Number 525.” The bill for chicken feed became anything but chicken feed. Enter GrandPa’s feeders, the best invention to come out of New Zealand since pavlova. (Only kidding. Grandpa’s feeders really are a New Zealand innovation). Sure, the initial cost was quite high, and it took several weeks of s-l-o-w training before Scarlet and Nancy got the hang of it, (remember, chickens have tiny brains) but my chicken-feed bill has dropped so precipitously that I’ve paid for it several times over and I can go on holidays with a free conscience knowing there’ll be plenty of food for them. In fact it’s so good, I bought one for friends who also have chickens. Thoroughly recommended! Then one night I was away and forgot to protect them. Expecting a scene of carnage on my return it was a relief to discover they were doing fine. Since then, they’ve had free run of the garden. 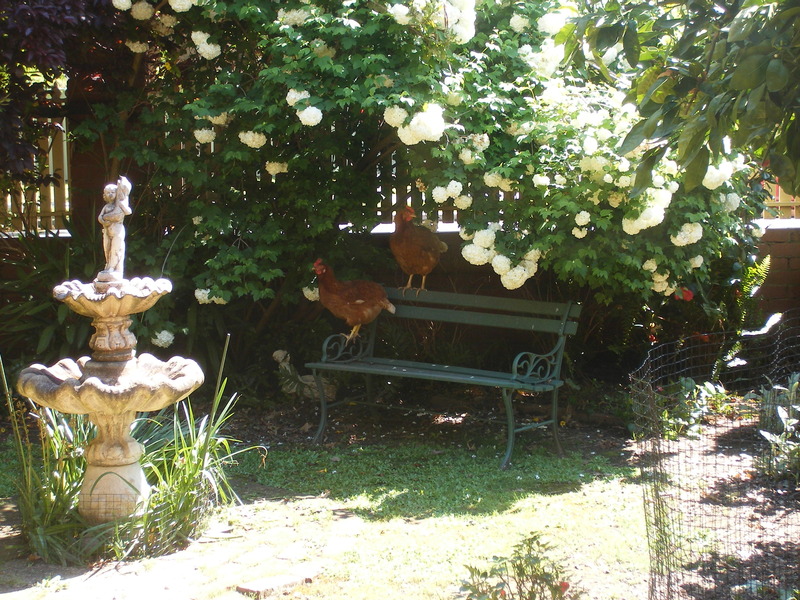 This means the girls rarely lay these days, but I’ve had great eggs for almost three years and the best avocado harvests ever, thanks to the soil underneath the trees being aerated, bugs and fungi being gobbled down and fertiliser being applied daily, direct from the source. So I think they’ve earned the right to live out the remainder of their days in the front garden at 525. This entry was posted in Animals and Pets, Garden and tagged animals, Keep backyard Chickens, nature on April 8, 2013 by outsidethesquare101.